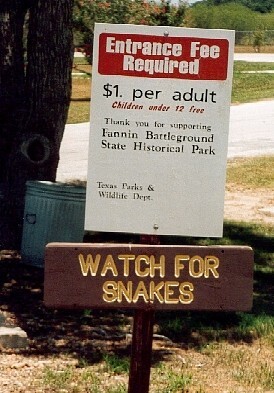 Fannin Texas, Fannin Battleground, Battle of Perdido. 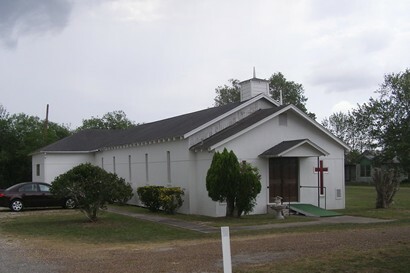 The town sprang up on Perdido Creek, not far from the site where Fannin and his command were captured by Mexican forces in 1836. The date is uncertain, but the first post office opened in 1852 – closing four short years later. The original name was Fanning’s Defeat, although we’re sure no disrespect was meant. 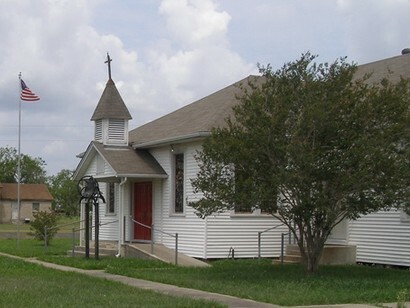 Fannin was often misspelled as Fanning – and it continues to this day – just not by Texans. By 1873, a new post office opened under the name Perdido - named after the creek. The town was well on its way by 1884 with daily stage service to Victoria and 50 residents. 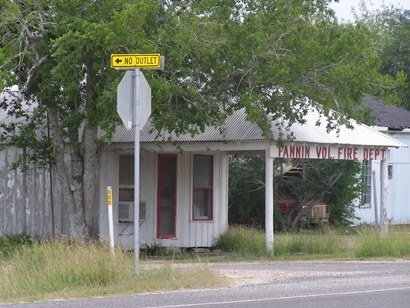 When the railroad came through in 1889 the railroad’s designation for the stop was Fannin. A new post office opened under that name and the town doubled its population in short order. 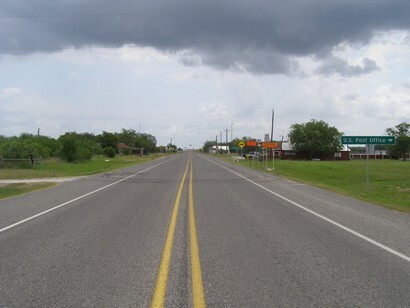 By 1914 there were 200 people in Fannin and it was known as a cattle-shipping point with permanent shipping pens built alongside the rails. A stray bullet from a shootout in a saloon in 1911started a fire. As a result, the town went up in flames. Rebuilding wasn’t a priority and with fewer buildings, the townfolk moved to where there were more. The population fell back to 100 people and it hovered there for the next 70 years. 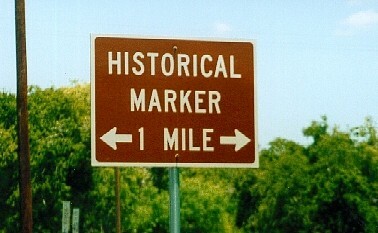 Today, the town sits between Perdido Creek and the Fannin Battleground State Historic Site. 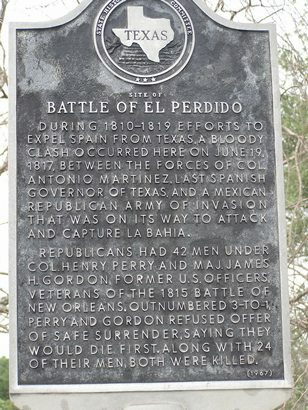 The Battle of Perdido occurred in 1817 between Spanish forces and a Mexican Republican army. 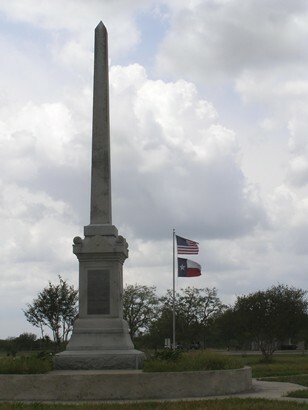 After the fall of the Alamo, March 6, 1836, Colonel James Walker Fannin, with about 400 soldiers, mostly volunteers from the United States in the Texas War for Independence, was ordered by Texas General Sam Houston to retreat from Goliad to Victoria. 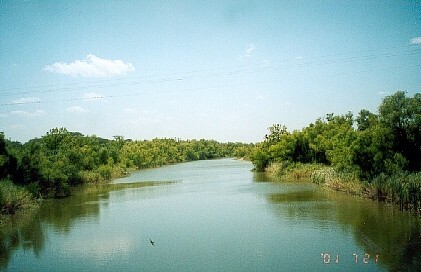 March 19, the heavy Mexican force of General Urrea surrounded the withdrawing Texas contingent near Coleto Creek, and bitter fighting ensued. 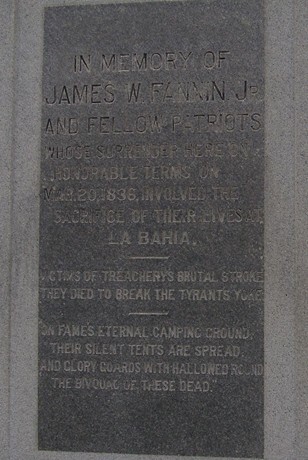 Fannin's volunteers hurled back the assaults of the Mexican force. On the following day, faced with several times their number, the Texans surrendered in the belief they would be treated as prisoners of war of a civilized nation. 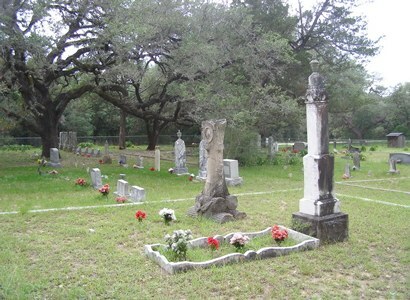 After removal to Goliad, the Fannin men were marched out and massacred on Palm Sunday under orders of Santa Anna, the general of the Mexican armies. 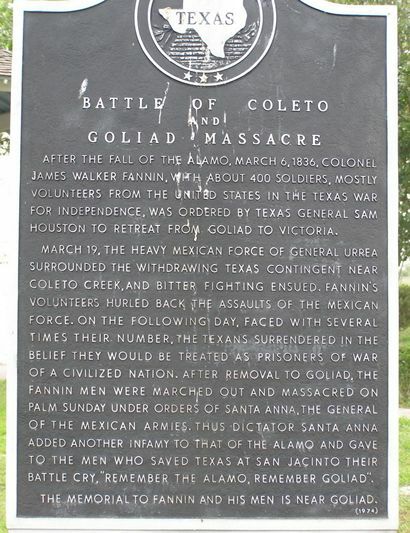 Thus dictator Santa Anna added another infamy to that of the Alamo and gave to the men who saved Texas at San Jacinto their battle cry, "Remember the Alamo, Remember Goliad". 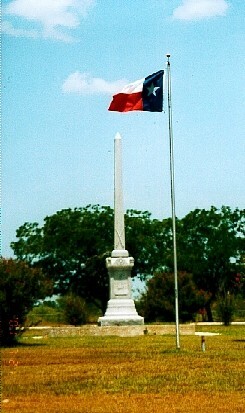 The memorial to Fannin and his men is near Goliad. 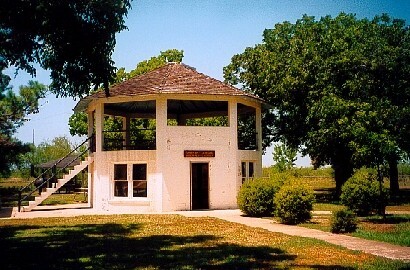 During 1810 - 1819 efforts to expel Spain from Texas, a bloody clash occurred here on June 19, 1817, between the forces of Col. Antonio Martinez, last Spanish governor of Texas, and a Mexican Republican Army of invasion that was on its way to attack and capture La Bahia. Republicans had 42 men under Col. Henry Perry and Maj. James H. Gordon, former U.S. officers, veterans of the 1815 Battle of New Orleans. Outnumbered 3-to-1, Perry and Gordon refused offer of safe surrender, saying they would die first. Along with 24 of their men, both were killed.